Today I’m just going to throw a bunch of random other podcasts at you. Maybe you’ll find something you like! 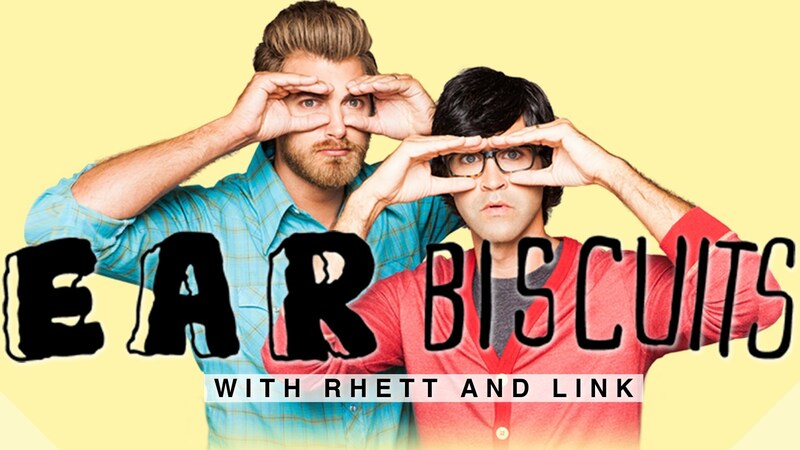 North Carolina natives and Campus Crusade alumni Rhett and Link have a podcast called Ear Biscuits. Last month they interviewed Rainn Wilson. Because I am a sports fan from Massachusetts, I am required by law to read or listen to the Sports Guy, Bill Simmons. He writes for Grantland and ESPN, and his podcast is amusingly called the BS Report. My favorite Food Network chef and all-around interesting guy is Alton Brown, who podcasts sporadically at the Alton Browncast. The Rabbit Room podcast has gone dark, but it’s worth subscribing just for the archives. There are quite a few old Hutchmoot sessions on there, along with interviews. One regular morning listen for me while I get my hair and face together is The Writer’s Almanac. This is a short little snippet with literary news of the day (like “born today in the year…”) as well as a poem for the day. Voiced by the aforementioned Garrison Keillor. Nick Flora, a producer and artist from Nashville, has a nice podast called Who Writes this Stuff, featuring interviews with artists you might not know but might love. I’m just starting to scratch the surface on some BBC podcasts. One I’ve started listening to with the kids is called Witness, which includes short interviews with people who were present as history happened. Last week we heard a conversation with a man who started the Greensboro lunch counter sit-in. This entry was posted in podcasts and tagged Alton Brown, BBC, Bill simmons, nick flora, podcasts, rhett and link, writers almanac. Bookmark the permalink. hmmm. I will checkout witness, sounds good. BBC’s In Our Time is excellent!